This landmark paper, originally published on Siemens’s personal website [https://edtechbooks.org/-zKa] in 2004 before being published in the International Journal of Instructional Technology and Distance Learning [http://www.itdl.org/], has been cited thousands of times and is considered a landmark theory for the Internet age. Siemens has since added a website to explore this concept. Behaviorism, cognitivism, and constructivism are the three broad learning theories most often utilized in the creation of instructional environments. These theories, however, were developed in a time when learning was not impacted through technology. Over the last twenty years, technology has reorganized how we live, how we communicate, and how we learn. Learning needs and theories that describe learning principles and processes, should be reflective of underlying social environments. Vaill emphasizes that “learning must be a way of being—an ongoing set of attitudes and actions by individuals and groups that they employ to try to keep abreast of the surprising, novel, messy, obtrusive, recurring events . . .” (1996, p. 42). One of the most persuasive factors is the shrinking half-life of knowledge. The “half-life of knowledge” is the time span from when knowledge is gained to when it becomes obsolete. Half of what is known today was not known 10 years ago. The amount of knowledge in the world has doubled in the past 10 years and is doubling every 18 months according to the American Society of Training and Documentation (ASTD). To combat the shrinking half-life of knowledge, organizations have been forced to develop new methods of deploying instruction. Informal learning is a significant aspect of our learning experience. Formal education no longer comprises the majority of our learning. Learning now occurs in a variety of ways—through communities of practice, personal networks, and through completion of work-related tasks. Driscoll (2000) defines learning as “a persisting change in human performance or performance potential…[which] must come about as a result of the learner’s experience and interaction with the world” (p.11). This definition encompasses many of the attributes commonly associated with behaviorism, cognitivism, and constructivism—namely, learning as a lasting changed state (emotional, mental, physiological (i.e., skills)) brought about as a result of experiences and interactions with content or other people. Valid sources of knowledge—Do we gain knowledge through experiences? Is it innate (present at birth)? Do we acquire it through thinking and reasoning? Content of knowledge—Is knowledge actually knowable? Is it directly knowable through human experience? Objectivism (similar to behaviorism) states that reality is external and is objective, and knowledge is gained through experiences. Pragmatism (similar to cognitivism) states that reality is interpreted, and knowledge is negotiated through experience and thinking. Interpretivism (similar to constructivism) states that reality is internal, and knowledge is constructed. All of these learning theories hold the notion that knowledge is an objective (or a state) that is attainable (if not already innate) through either reasoning or experiences. Behaviorism, cognitivism, and constructivism (built on the epistemological traditions) attempt to address how it is that a person learns. Constructivism suggests that learners create knowledge as they attempt to understand their experiences (Driscoll, 2000, p. 376). Behaviorism and cognitivism view knowledge as external to the learner and the learning process as the act of internalizing knowledge. Constructivism assumes that learners are not empty vessels to be filled with knowledge. Instead, learners are actively attempting to create meaning. Learners often select and pursue their own learning. Constructivist principles acknowledge that real-life learning is messy and complex. Classrooms which emulate the “fuzziness” of this learning will be more effective in preparing learners for life-long learning. A central tenet of most learning theories is that learning occurs inside a person. Even social constructivist views, which hold that learning is a socially enacted process, promotes the principality of the individual (and her/his physical presence—i.e., brain-based) in learning. These theories do not address learning that occurs outside of people (i.e., learning that is stored and manipulated by technology). They also fail to describe how learning happens within organizations. Learning theories are concerned with the actual process of learning, not with the value of what is being learned. In a networked world, the very manner of information that we acquire is worth exploring. The need to evaluate the worthiness of learning something is a meta-skill that is applied before learning itself begins. When knowledge is subject to paucity, the process of assessing worthiness is assumed to be intrinsic to learning. When knowledge is abundant, the rapid evaluation of knowledge is important. Additional concerns arise from the rapid increase in information. In today’s environment, action is often needed without personal learning—that is, we need to act by drawing information outside of our primary knowledge. The ability to synthesize and recognize connections and patterns is a valuable skill. Many important questions are raised when established learning theories are seen through technology. The natural attempt of theorists is to continue to revise and evolve theories as conditions change. At some point, however, the underlying conditions have altered so significantly, that further modification is no longer sensible. An entirely new approach is needed. What adjustments need to be made with learning theories when technology performs many of the cognitive operations previously performed by learners (information storage and retrieval). Experience has long been considered the best teacher of knowledge. Since we cannot experience everything, other people’s experiences, and hence other people, become the surrogate for knowledge. ‘I store my knowledge in my friends’ is an axiom for collecting knowledge through collecting people (undated). Chaos is a new reality for knowledge workers. ScienceWeek (2004) quotes Nigel Calder’s definition that chaos is “a cryptic form of order.” Chaos is the breakdown of predictability, evidenced in complicated arrangements that initially defy order. Unlike constructivism, which states that learners attempt to foster understanding by meaning making tasks, chaos states that the meaning exists—the learner’s challenge is to recognize the patterns which appear to be hidden. Meaning-making and forming connections between specialized communities are important activities. Chaos, as a science, recognizes the connection of everything to everything. Gleick (1987) states: “In weather, for example, this translates into what is only half-jokingly known as the Butterfly Effect—the notion that a butterfly stirring the air today in Peking can transform storm systems next month in New York” (p. 8). This analogy highlights a real challenge: “sensitive dependence on initial conditions” profoundly impacts what we learn and how we act based on our learning. Decision making is indicative of this. If the underlying conditions used to make decisions change, the decision itself is no longer as correct as it was at the time it was made. The ability to recognize and adjust to pattern shifts is a key learning task. Luis Mateus Rocha (1998) defines self-organization as the “spontaneous formation of well organized structures, patterns, or behaviors, from random initial conditions.” (p.3). Learning, as a self-organizing process requires that the system (personal or organizational learning systems) “be informationally open, that is, for it to be able to classify its own interaction with an environment, it must be able to change its structure . . .” (p.4). Wiley and Edwards acknowledge the importance of self-organization as a learning process: “Jacobs argues that communities self-organize is a manner similar to social insects: instead of thousands of ants crossing each other’s pheromone trails and changing their behavior accordingly, thousands of humans pass each other on the sidewalk and change their behavior accordingly.” Self-organization on a personal level is a micro-process of the larger self-organizing knowledge constructs created within corporate or institutional environments. The capacity to form connections between sources of information, and thereby create useful information patterns, is required to learn in our knowledge economy. A network can simply be defined as connections between entities. Computer networks, power grids, and social networks all function on the simple principle that people, groups, systems, nodes, entities can be connected to create an integrated whole. Alterations within the network have ripple effects on the whole. Albert-László Barabási states that “nodes always compete for connections because links represent survival in an interconnected world” (2002, p. 106). This competition is largely dulled within a personal learning network, but the placing of value on certain nodes over others is a reality. Nodes that successfully acquire greater profile will be more successful at acquiring additional connections. In a learning sense, the likelihood that a concept of learning will be linked depends on how well it is currently linked. Nodes (can be fields, ideas, communities) that specialize and gain recognition for their expertise have greater chances of recognition, thus resulting in cross-pollination of learning communities. Weak ties are links or bridges that allow short connections between information. Our small world networks are generally populated with people whose interests and knowledge are similar to ours. Finding a new job, as an example, often occurs through weak ties. This principle has great merit in the notion of serendipity, innovation, and creativity. Connections between disparate ideas and fields can create new innovations. Connectivism is the integration of principles explored by chaos, network, and complexity and self-organization theories. Learning is a process that occurs within nebulous environments of shifting core elements—not entirely under the control of the individual. Learning (defined as actionable knowledge) can reside outside of ourselves (within an organization or a database), is focused on connecting specialized information sets, and the connections that enable us to learn more are more important than our current state of knowing. Information flow within an organization is an important element in organizational effectiveness. In a knowledge economy, the flow of information is the equivalent of the oil pipe in an industrial economy. Creating, preserving, and utilizing information flow should be a key organizational activity. Knowledge flow can be likened to a river that meanders through the ecology of an organization. In certain areas, the river pools and in other areas it ebbs. The health of the learning ecology of the organization depends on effective nurturing of information flow. Social network analysis is an additional element in understanding learning models in a digital era. Art Kleiner (2002) explores Karen Stephenson’s “quantum theory of trust” which “explains not just how to recognize the collective cognitive capability of an organization, but how to cultivate and increase it.” Within social networks, hubs are well-connected people who are able to foster and maintain knowledge flow. Their interdependence results in effective knowledge flow, enabling the personal understanding of the state of activities organizationally. Landauer and Dumais (1997) explore the phenomenon that “people have much more knowledge than appears to be present in the information to which they have been exposed.” They provide a connectivist focus in stating “the simple notion that some domains of knowledge contain vast numbers of weak interrelations that, if properly exploited, can greatly amplify learning by a process of inference.” The value of pattern recognition and connecting our own “small worlds of knowledge” are apparent in the exponential impact provided to our personal learning. John Seely Brown presents an interesting notion that the internet leverages the small efforts of many with the large efforts of few. The central premise is that connections created with unusual nodes supports and intensifies existing large effort activities. Brown provides the example of a Maricopa County Community College system project that links senior citizens with elementary school students in a mentor program. Because the children “listen to these ‘grandparents’ better than they do their own parents, the mentoring really helps the teachers . . . the small efforts of the many—the seniors—complement the large efforts of the few—the teachers” (2002). This amplification of learning, knowledge and understanding through the extension of a personal network is the epitome of connectivism. Management and leadership. The management and marshalling of resources to achieve desired outcomes is a significant challenge. Realizing that complete knowledge cannot exist in the mind of one person requires a different approach to creating an overview of the situation. Diverse teams of varying viewpoints are a critical structure for completely exploring ideas. Innovation is also an additional challenge. Most of the revolutionary ideas of today at one time existed as a fringe element. An organizations ability to foster, nurture, and synthesize the impacts of varying views of information is critical to knowledge economy survival. Speed of “idea to implementation” is also improved in a systems view of learning. Media, news, information. This trend is well under way. Mainstream media organizations are being challenged by the open, real-time, two-way information flow of blogging. Use a comparison chart (such as a T-chart or Venn Diagram) to compare elements of Connectivism with elements of Behaviorism, Cognitivism, or Constructivism. According to connectivism, how has the rapid increase of access to knowledge affected the way we should view knowledge? Think of the most recent job you have held. How did the principles of connectivism affect the way you learned in that job? How would you summarize the main points of connectivism if you had to explain it to a friend with no background in this area? Buell, C. (undated). Cognitivism. Retrieved December 10, 2004 from https://edtechbooks.org/-Gw. Gonzalez, C., (2004). The Role of Blended Learning in the World of Technology. Retrieved December 10, 2004 from https://edtechbooks.org/-Pt. Gredler, M. E., (2005) Learning and Instruction: Theory into Practice—5th Edition, Upper Saddle River, NJ, Pearson Education. Kleiner, A. (2002). Karen Stephenson’s Quantum Theory of Trust. Retrieved December 10, 2004 from https://edtechbooks.org/-cA. Landauer, T. K., Dumais, S. T. (1997). A Solution to Plato’s Problem: The Latent Semantic Analysis Theory of Acquisition, Induction and Representation of Knowledge. Retrieved December 10, 2004 from https://edtechbooks.org/-yt. Rocha, L. M. (1998). Selected Self-Organization and the Semiotics of Evolutionary Systems. Retrieved December 10, 2004 from https://edtechbooks.org/-ju. ScienceWeek (2004) Mathematics: Catastrophe Theory, Strange Attractors, Chaos. Retrieved December 10, 2004 from https://edtechbooks.org/-Dw. Stephenson, K., (Internal Communication, no. 36) What Knowledge Tears Apart, Networks Make Whole.Retrieved December 10, 2004 from https://edtechbooks.org/-Mg.
Wiley, D. A and Edwards, E. K. (2002). Online self-organizing social systems: The decentralized future of online learning.Retrieved December 10, 2004 from https://edtechbooks.org/-Zn. 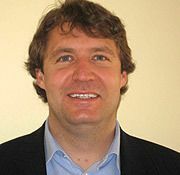 Dr. George Siemens is the executive director of the Learning Innovation and Networked Knowledge (LINK) Research Lab at the University of Texas at Arlington. He received a Ph.D. from the University of Aberdeen on sensemaking and wayfinding in complex information settings. He is well known for developing the learning theory of connectivism, as well as for his pioneering work in learning analytics and massively open online courses (MOOCs). He was among the first people ever to design and facilitate a MOOC.